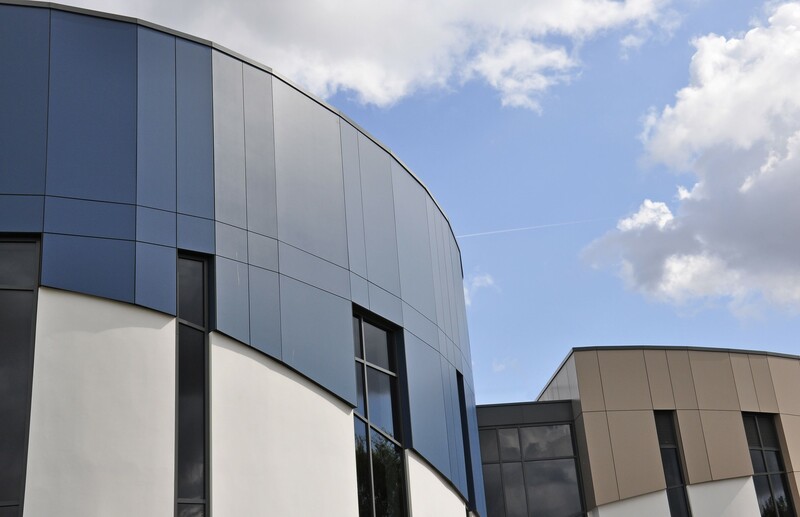 St. Monica’s High School is a Voluntary Aided Comprehensive School situated in the Sedgley Ward of Bury Metropolitan Borough Council. 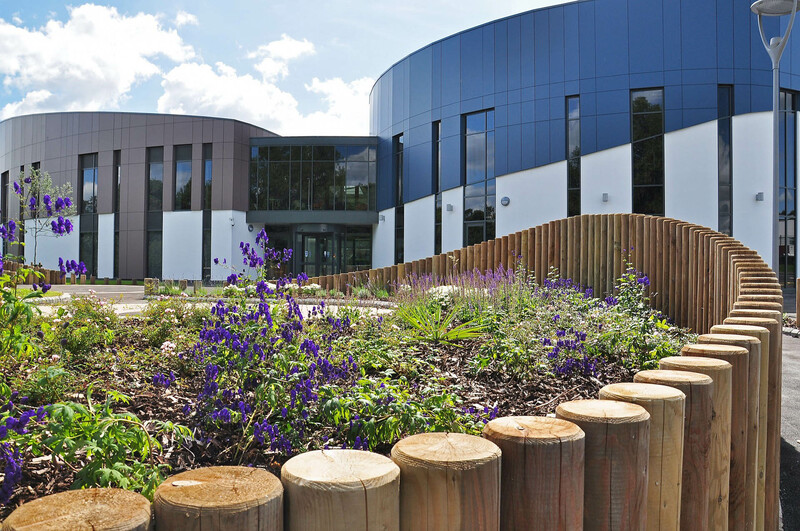 Pupils come from a variety of social backgrounds and travel from a wide area, with large numbers coming from north Manchester and Salford. 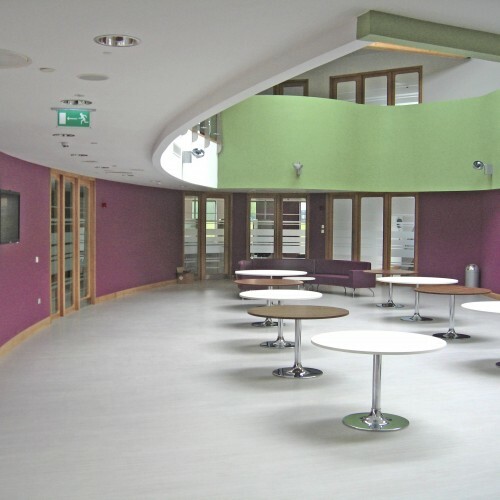 In line with the 14-19 agenda, St. Monica’s wished to contribute to the provision of seamless programmes of personalised high quality work-related learning, enabling all young people to access their full 14-19 entitlement and progress successfully to training, further, or higher education, as appropriate. 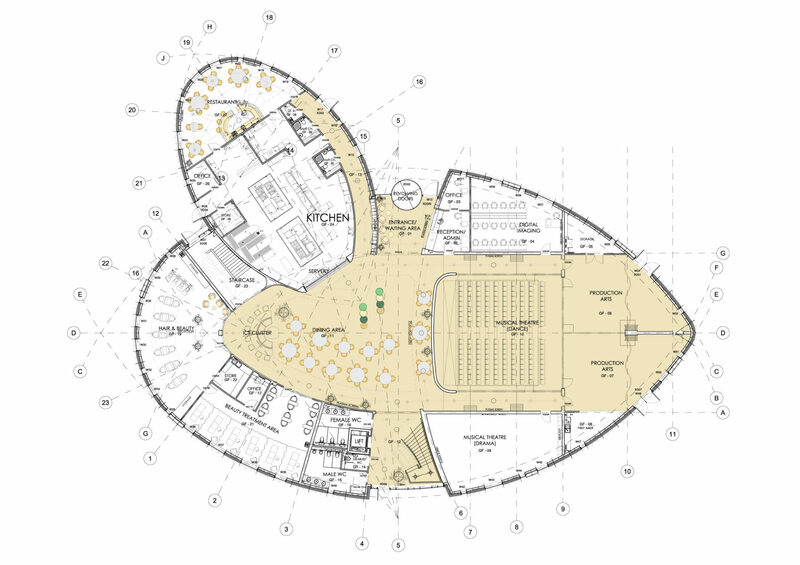 The proposal was for a new build 250 place 16 -19 6th Form Centre on land adjoining the existing school site. 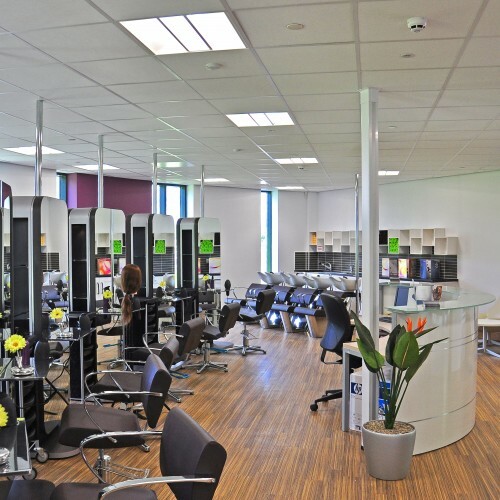 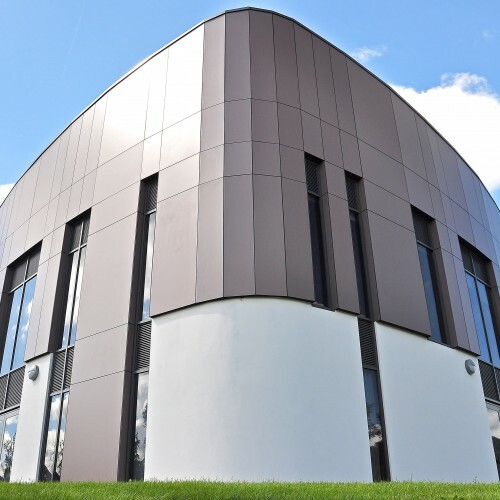 The new development provides modern teaching accommodation for several different vocational courses to be taught including Hospitality & Catering, Performing & Production Arts, Sports & Fitness, Hair & Beauty, Media Studies, and IT & Business Studies. 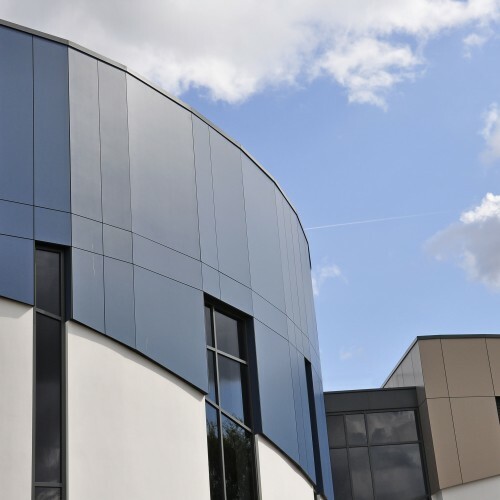 These courses will have a flexible curriculum within the new building with links to existing industry within Prestwich and the surrounding area. 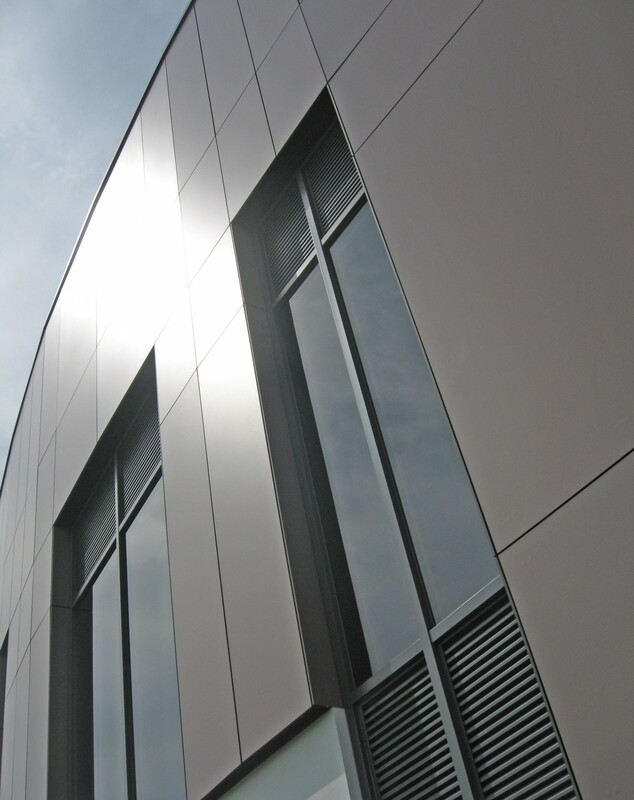 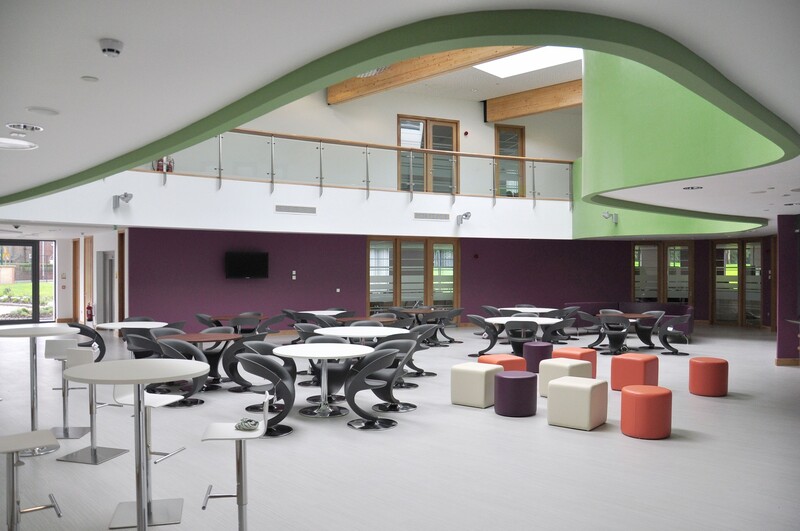 The challenge of the brief was to create a unique building that inspires pupils to continue their education at St Monica’s and provide a first class practical vocation for taking out into professional business. 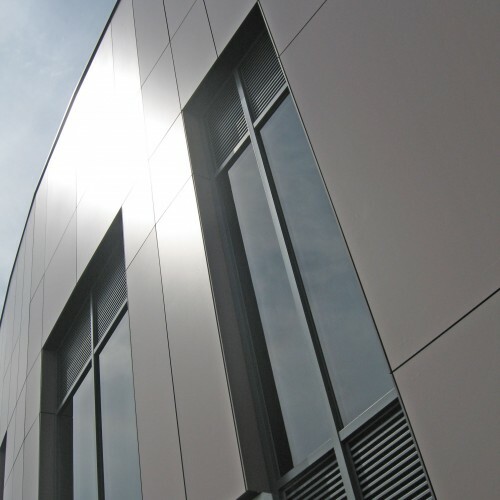 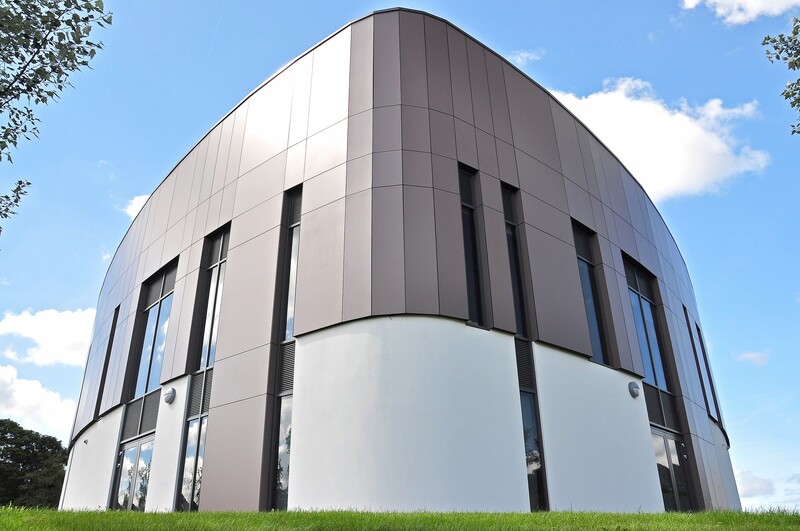 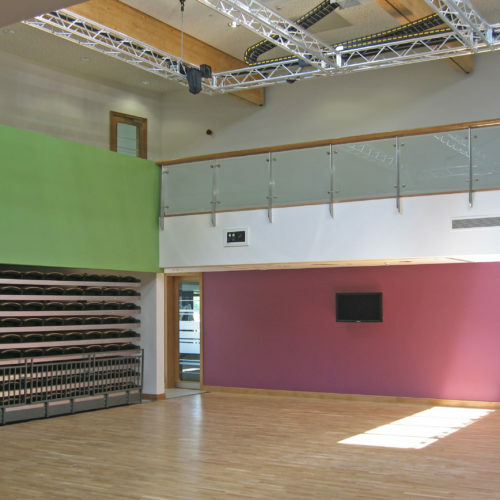 This has been achieved by creating a hybrid building, providing an exciting place to learn and also a place with modern, best practice facilities akin to that of professional business. 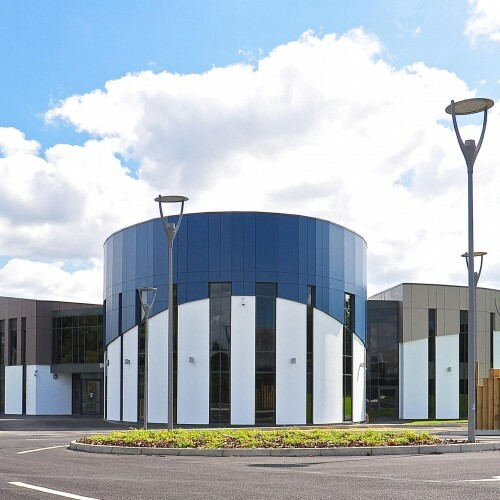 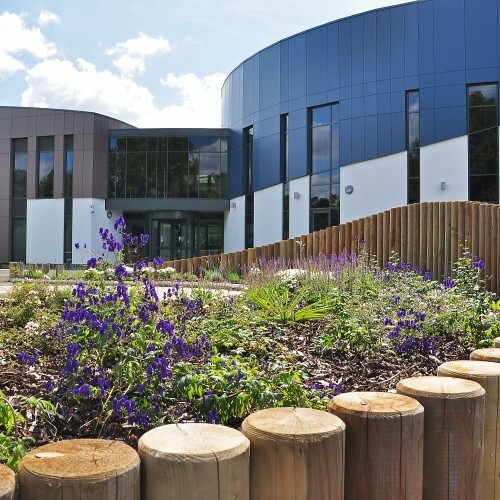 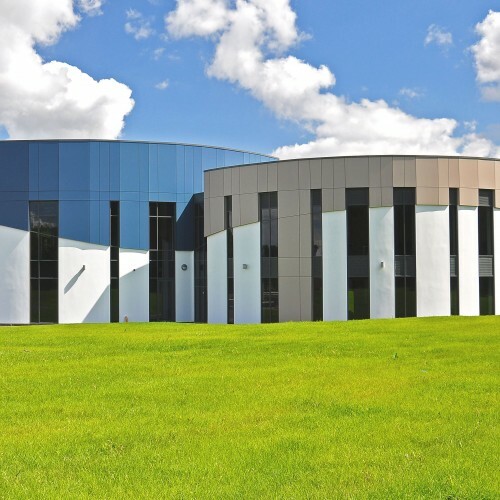 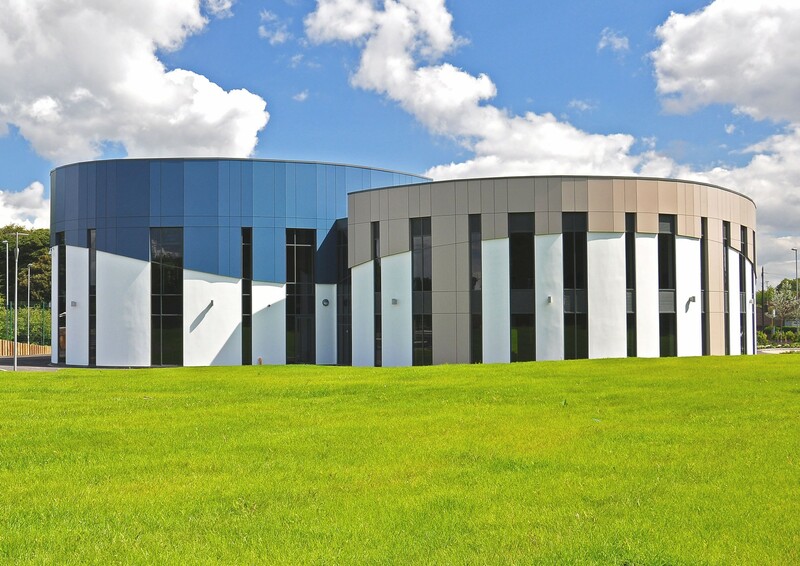 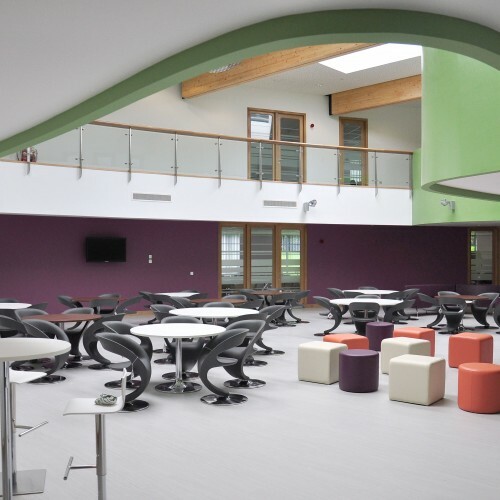 The design evolved around three curved elements that combine to create a dynamic modern building to inspire both pupils and staff and also to enhance the local setting with a vibrant educational establishment. 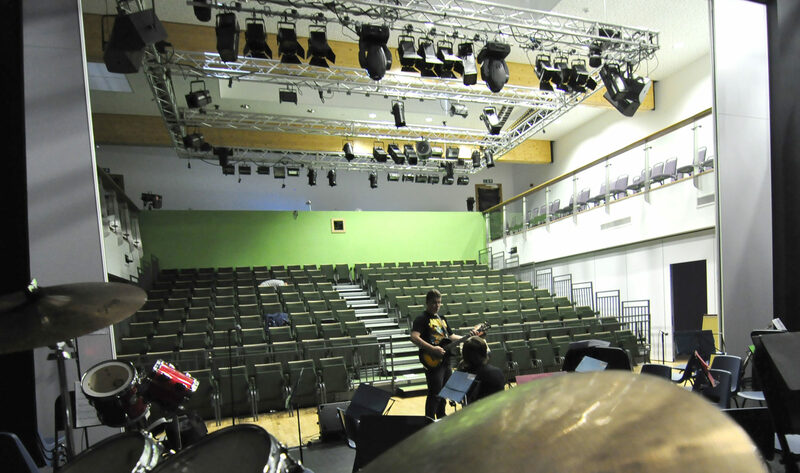 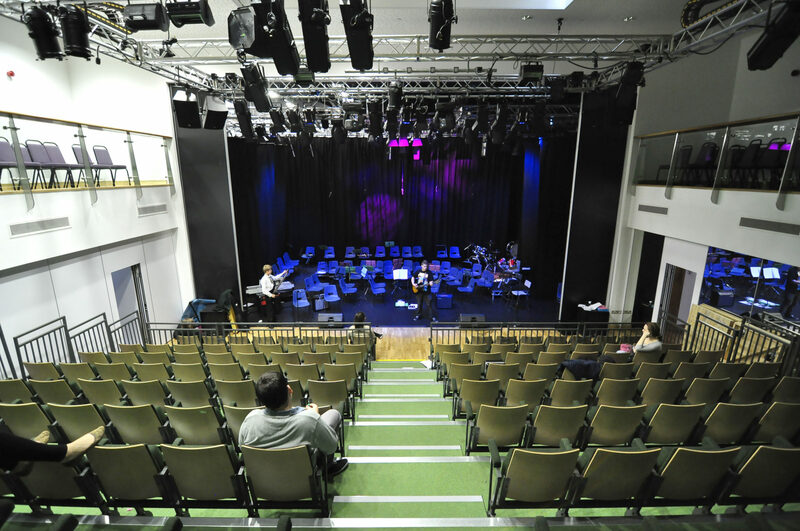 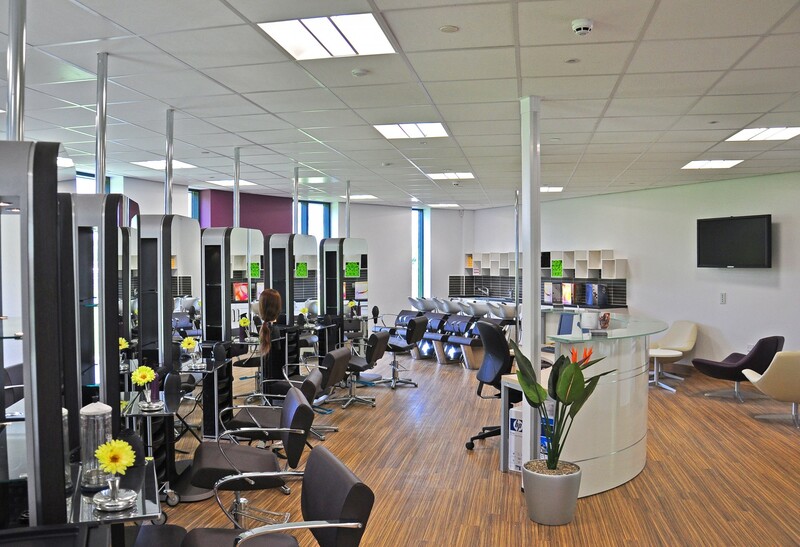 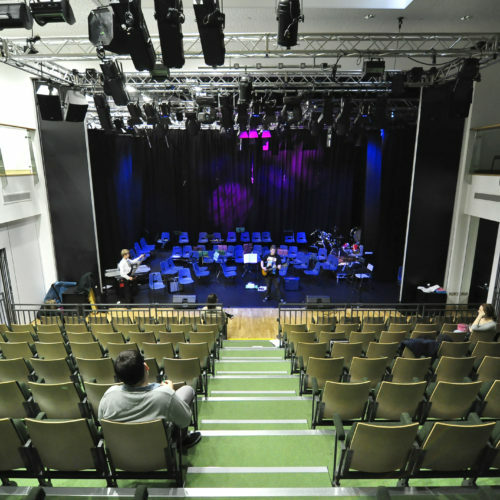 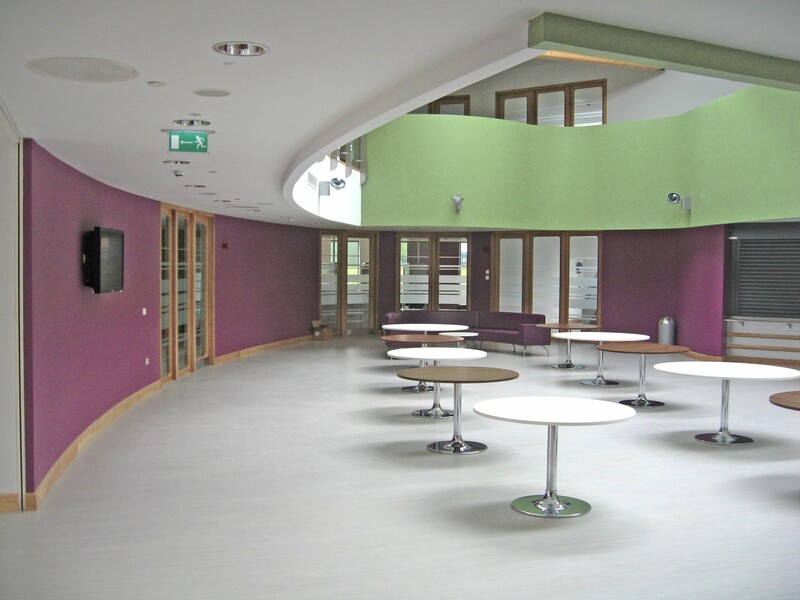 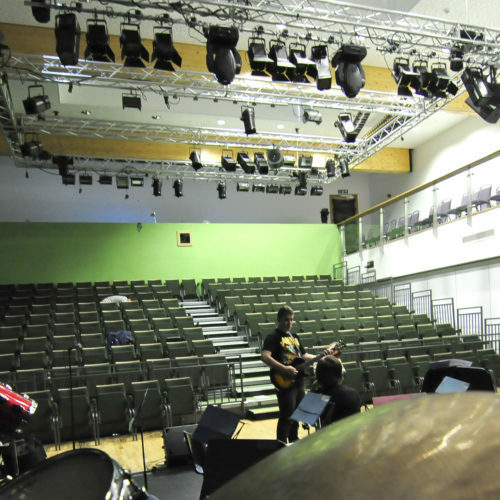 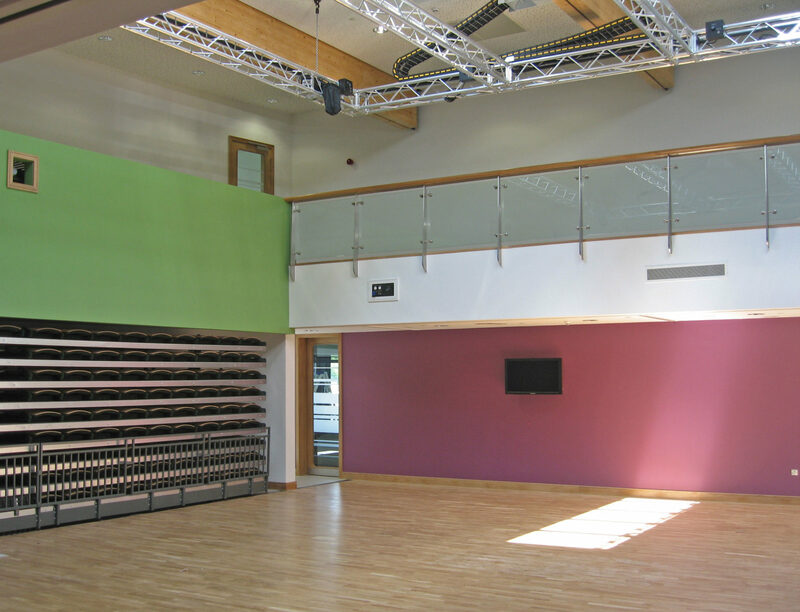 As flexibility and multi purpose space was a key requirement a central open plan space was created at the heart of the building allowing integration of the different vocational elements. 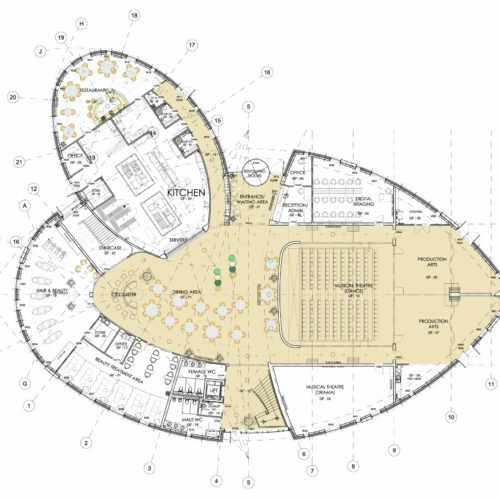 This central hub could cater for lectures, performances, social gathering, eating/ dining space, learning space etc and would create a dynamic space acting as a focal point to the entire complex.